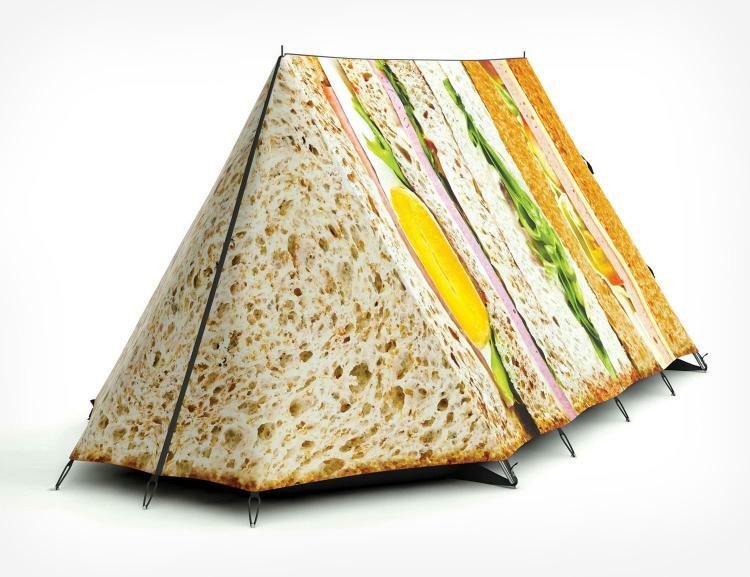 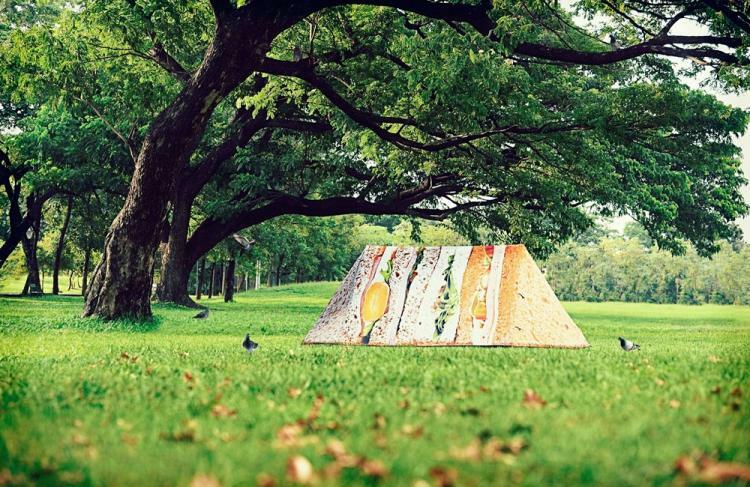 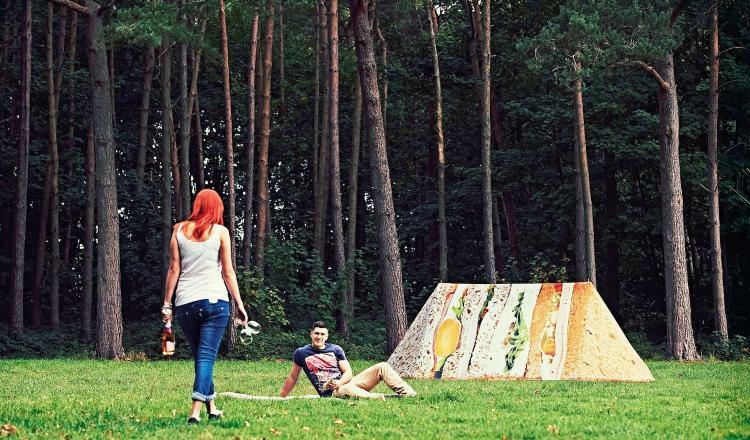 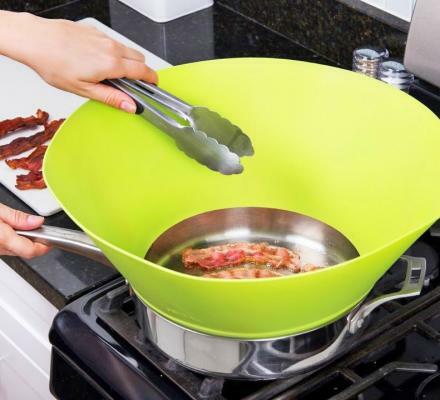 The Picnic Perfect tent is a two person camping tent that looks just like a single quadrant of a club sandwich. 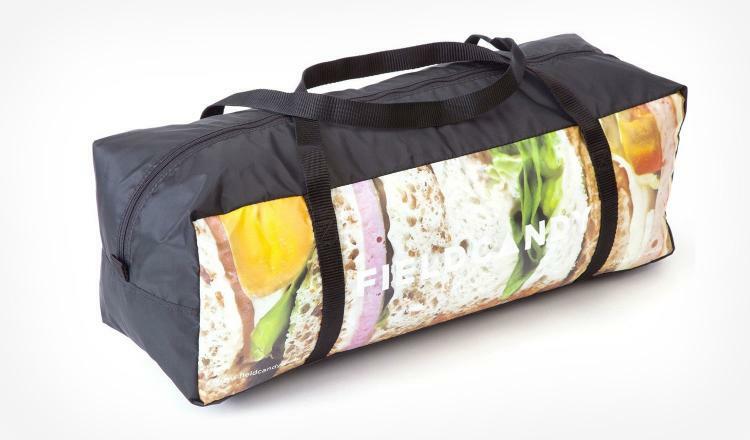 Just hope to god some hungry bear similar to Yogi doesn't come looking for a delicious club sandwich to munch on specifically with a double portioned human meat center. 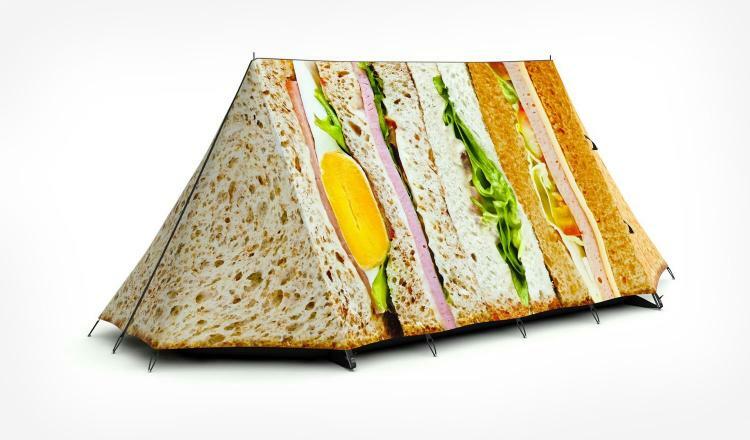 Perfect for setting up in the woods for a romantic picnic with your special lady, the club sandwich tent can be used for an afternoon nap after feeding thy lady some of your homemade hot salami. 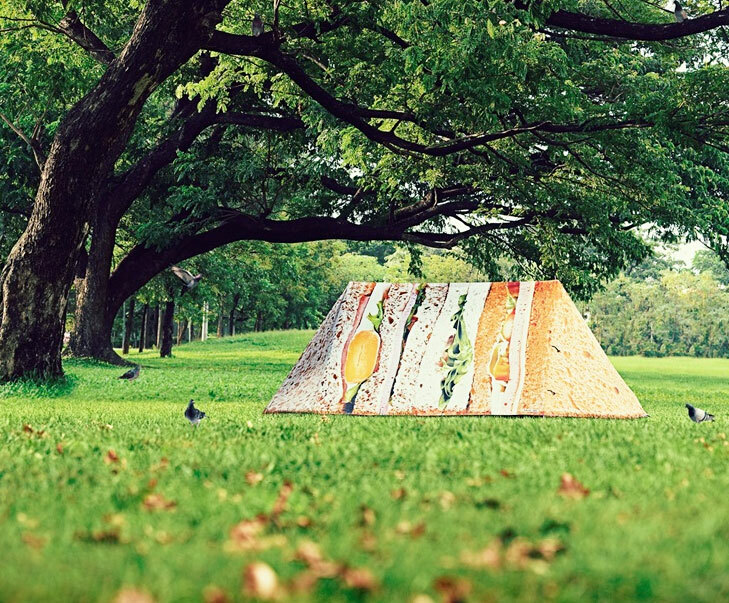 The club sandwich tent is just one of many unique A-frame camping tents by FieldCandy, others include the watermelon tent, the kids spaceship tent, or see them all here. 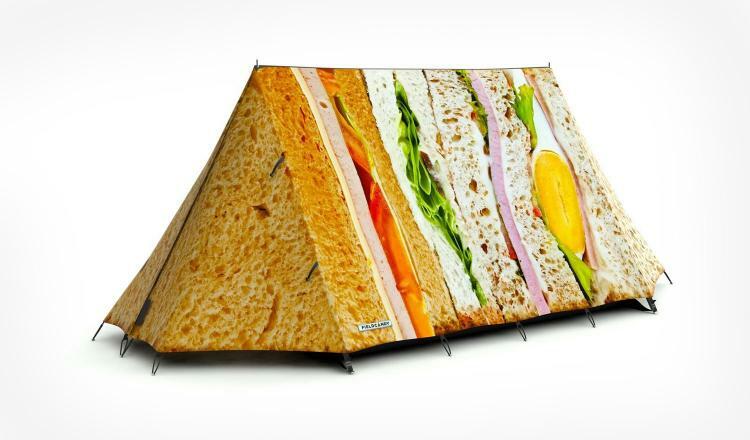 The club sandwich tent is digitally printed on a 100% waterproof UV fade resistant and fire retardant flysheet, comes with aluminum poles and steel pegs, has lockable storage pockets to store valuables, and comes in a handy sandwich themed carrying bag to easily transport it. 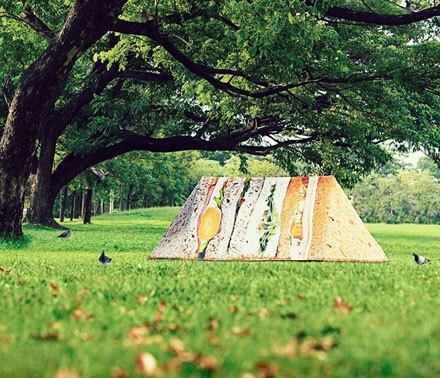 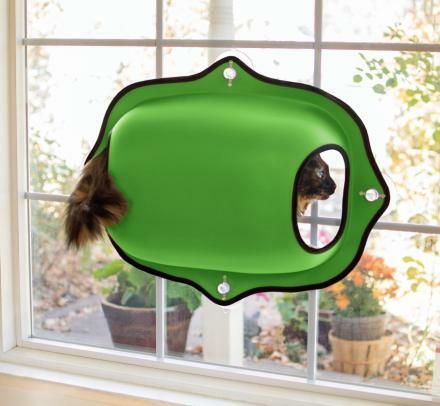 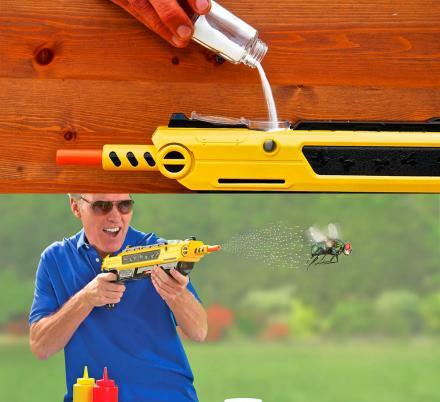 The picnic perfect tent measures 11 feet long x 7 feet wide x 4.2 feet tall.